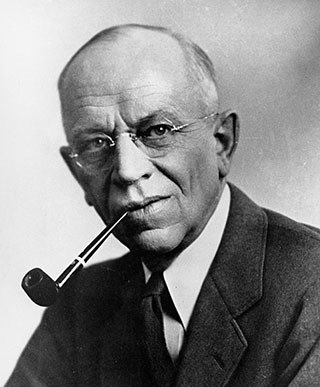 The name of the Greenfire Campus comes from the writing of Aldo Leopold, an early environmentalist and pivotal figure in the United States conservation movement. In his book “A Sand County Almanac,” Leopold describes a life-changing encounter with a gray wolf shot on a hunting expedition. 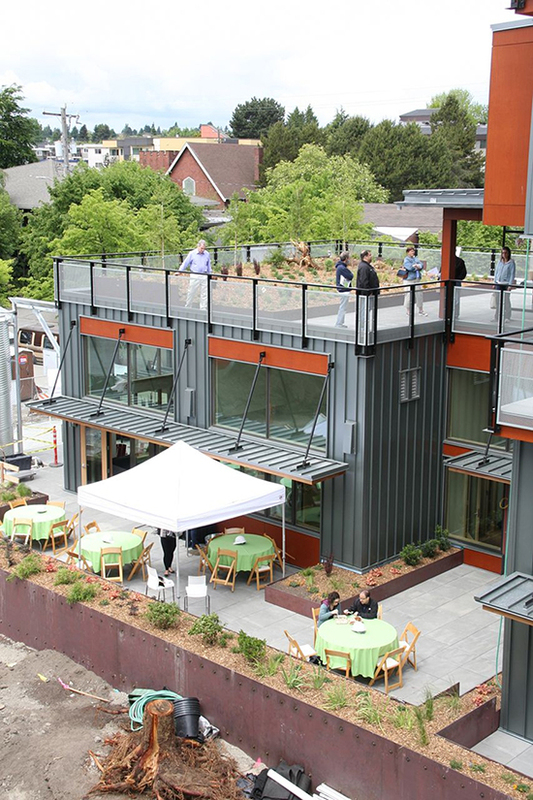 The apartment building has a second floor deck and common area patio. 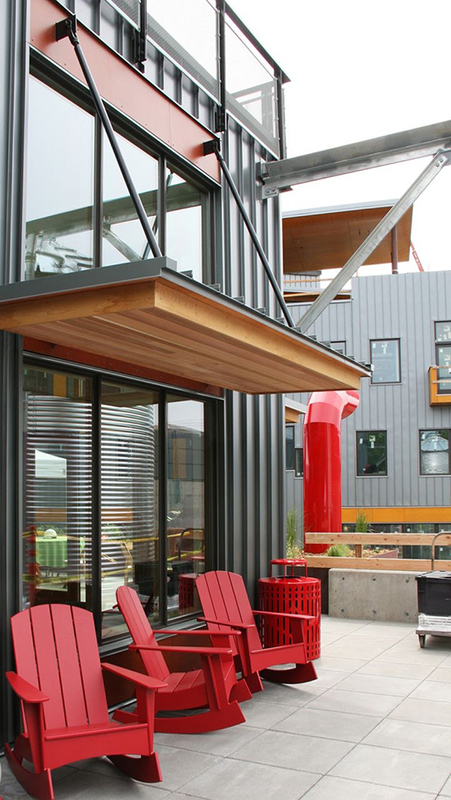 Chairs on the patio overlooking the P-patch are made of recycled materials. 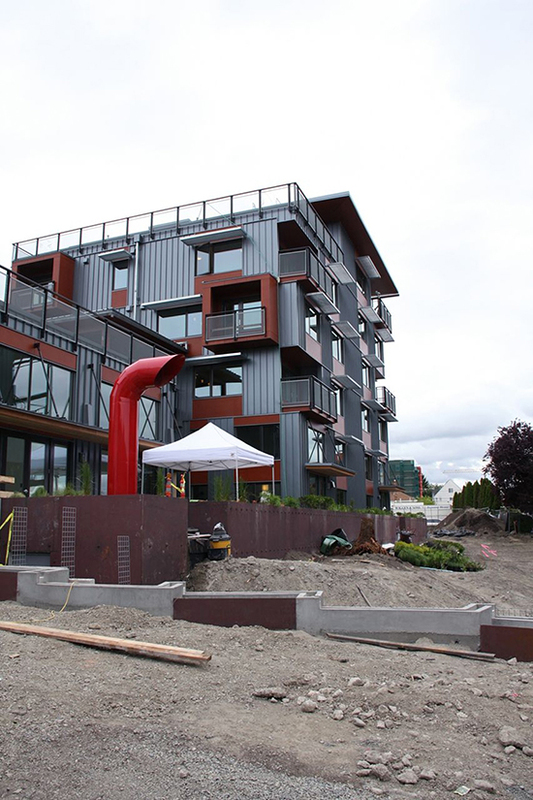 An exhaust vent overlooks a rainwater-fed water feature and bioswale. 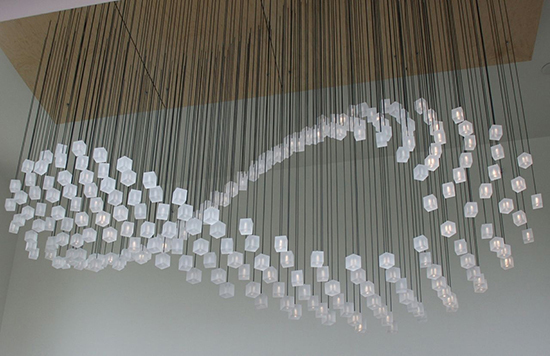 Graypants Inc. made this fiber-optic mobius strip light fixture in the apartment building’s community kitchen. Partial-height glass helps air and light circulate in the offices. 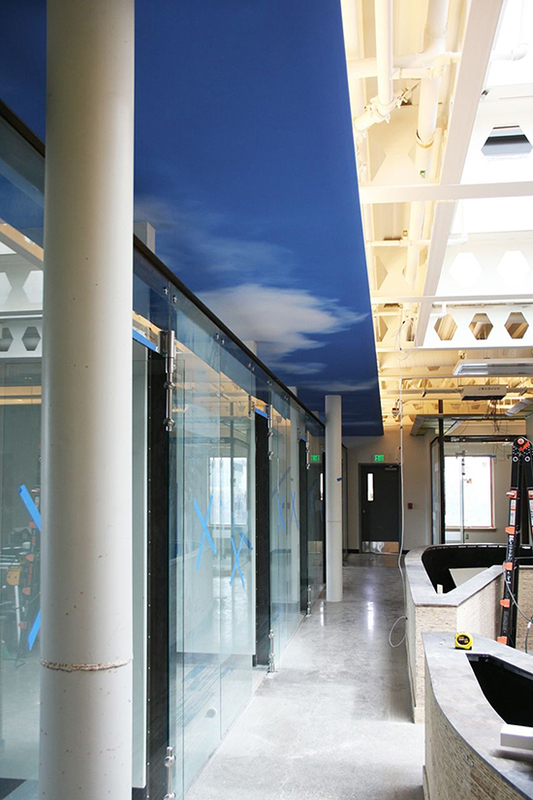 “Cloud” panels overhead help reduce noise. 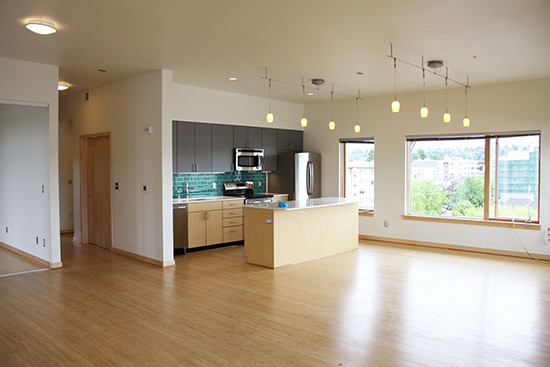 Interiors have renewable bamboo floors, recycled glass countertops, and energy-efficient fixtures and appliances.